After 5.5 long hours of Elections, we are proud to announce our Fall 2014 E-Board! 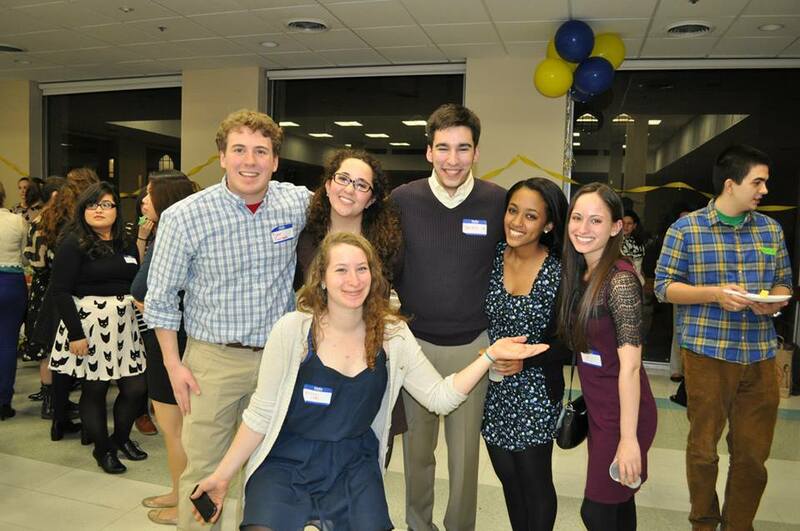 A HUGE congrats to our new E-Board and a ginormous thank you to everyone who ran! There were so many great candidates! Once again, congratulations everyone, we know you will all do a fabulous job next semester and guide APO to bigger and better things! Leah Magid enjoys studying public health and wants to work in healthcare in order to help others but she doesn’t wish to be a doctor. Some of her favorite things about BU is that the city is literally at your feet and you can walk anywhere and everywhere whenever you want. BU also has a huge APO chapter with so much brotherly love and she enjoys knowing that wherever she goes on campus, she’ll most likely bump into a brother. BU is also so big that you’ll always find the right group of friends. She wishes she was athletic and has tried many sports in high school but she plans on just sticking to the gym to stay healthy! She really enjoyed robotics in high school because it exercises the mind and the competitions for robotics are like sports games and just as competitive. It’s pretty cool. 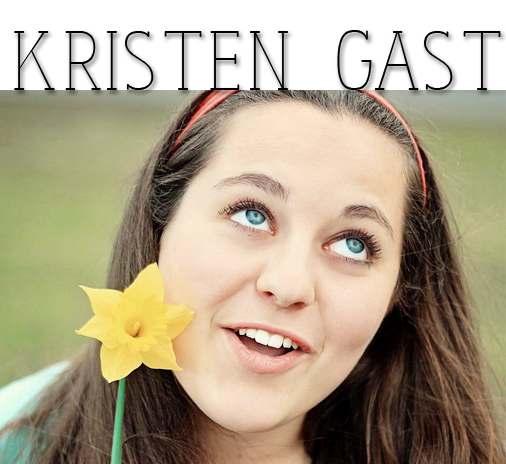 Find facts: Leah likes Kristen Wiig and SNL and has a pretty good Kristen Wiig impression. Kristen Gast is a sophomore studying Religion and Psychology. Religion is her one true love which began as a quest to understand her favorite author Salinger better. As for Psychology, she wishes to go into Social work as a career in order to help her better serve humanity. She loves BU because it simultaneously feels like a city and a small college campus. She can also meet a lot of new people and also form many connections! On campus, she is a part of Habitat for Humanity and Literary Society which allows her to meet many great, passionate people while also doing something that she loves. She also works in an after school program in Allston which allows her to hang out with young kids who all think she’s a genius because she understands fractions :). Kristen played many sports when she was younger – baseball, softball, cheerleading, tennis, boxing. Currently, she participates in weightlifting! She enjoys watching the Patriots and Red Sox because she has inherited her dad’s love for New England sports! In her free time, Kristen enjoys reading, writing, singing and hanging out with her friends and animals. She is also a pop culture addict especially with sitcoms, romcoms, and mob movies. She also enjoys going on adventures and sitting on rooftops! PLUG: Literary Society is working on its second issue of Coup D’Etat, a new literary journal, and they are always looking for new poems and prose! If you would like more info, you can check out bucoup.com! If you would like to be featured, email webmaster.buapo@gmail.com! 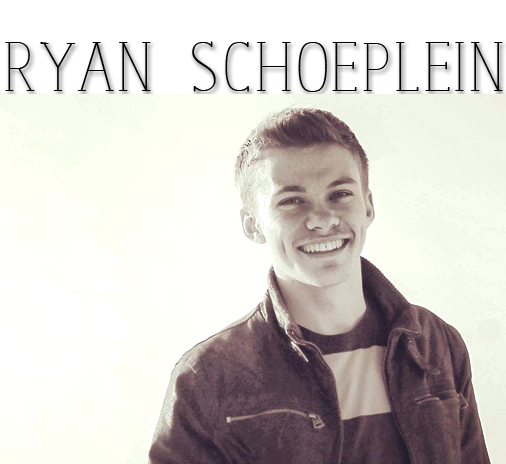 Ryan Schoeplein is a junior at BU studying biomedical engineering because he has always been interested in healthcare. This, combined with his love for design, led him to a field in which he could apply his creativity to the human body while simultaneously helping others. His ultimate career goal is to work in the greater field of global healthcare, while also incorporating his public health minor. He would love to work with under-privileged areas of the world in an attempt to bridge healthcare disparities. Ryan loves BU because it’s easy to meet many different people, which he thinks is one of the most important things to do in order to grow. 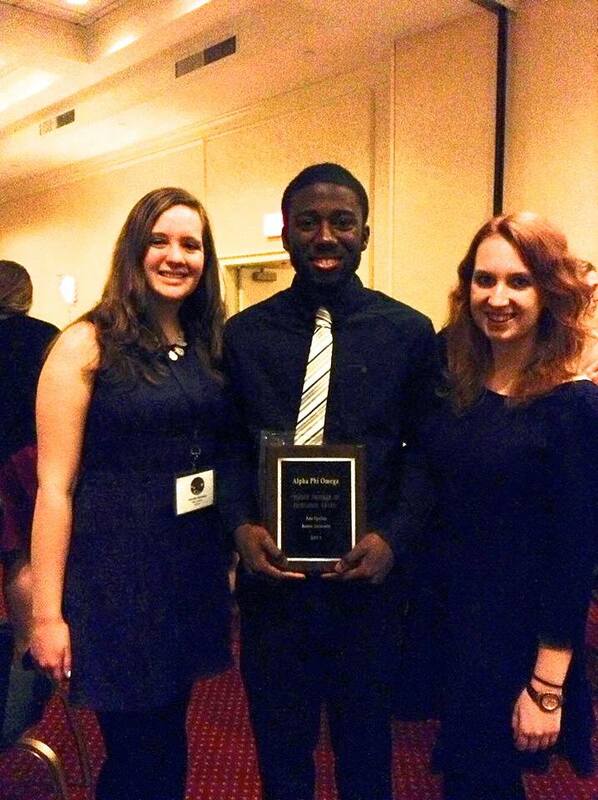 Within the Community Service Center, he has been a FYSOP Staff Member and an Alternative Spring Break Coordinator. He works as a lifeguard and swimming instructor at FitRec. In engineering, he is also a member of the Biomedical Engineering Society, a Dean’s Host, and works in the undergraduate programs office which is a great lead-in to my role this summer as an Orientation Student Advisor. He also studied abroad in Madrid during his sophomore year! When Ryan is graced with free time, he loves to spend it exploring Boston. He likes to think he has seen most of our beautiful city, but there are so many more hidden gems he knows that are out there. He has recently picked up photography, and also enjoys painting and doing other crafty things in general. Ryan is the oldest of three kids! 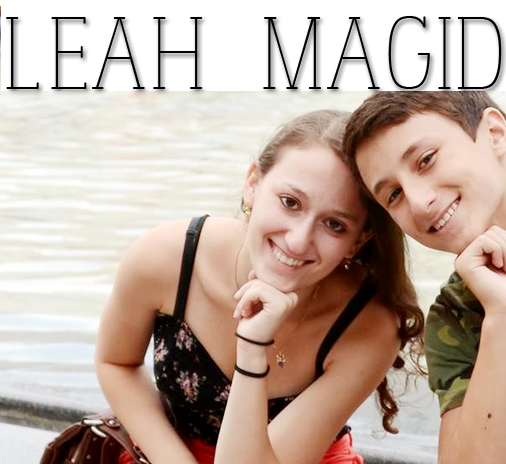 His brother, Kyle, is currently a freshman at Boston Conservatory studying musical theater and his sister, Courtney, is in the seventh grade. He’s from Connecticut and has five pets–three dogs and two cats! 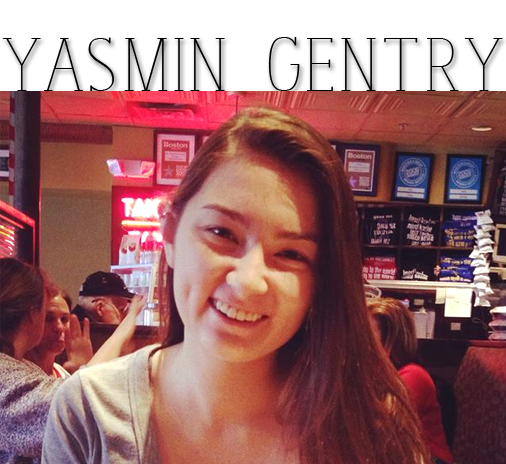 Yasmin Gentry studies COM studies, which is a branch of mass communication. In the future, she would really like to work in the creative apartment, either in an advertisement agency or media company. She loves Boston because it is extremely walk-able and historic and BU has so many opportunities and ways to get involved in our community! On campus, Yasmin works in Agganis Arena Ticket Office and also an Undergraduate Office Assistant at the Center for the Studies of Asia. She also writes for ‘The Quad’ and is currently writing an article for UPass. She works as a communications director for the student government campaign: TruBU! Plug: The student body can vote for student government on Student Link between March 31st and April 7PM! If she had free time, she would love to finally watch ‘Frozen,’ spend her time Netflix-ing and check out new food places. Since she is from Chicago, she is a huge fan of the Blackhawks and occasionally watches football and baseball. She played lacrosse and softball for a little while in high school but now enjoys exercising and running on her own. Her dad named her after the Red Sox player, Carl Yastrzemski, who was nicknamed ‘Yaz!’ Yasmin is going abroad to Japan this summer to take an intensive Japanese course in Tokyo through Sophia University. If you would like to get featured, email webmaster.buapo@gmail.com! Alissa Kim is a sophomore studying Health Science with a Public Health minor! She loves that she is able to help people and be an expert in the field she is studying. In the future, she plans to either go into health administration or health policy. Some of the reasons she loves BU is because of all the opportunities it has to offer. Also because BU is located in the middle of the city, there are always activities to do and places to visit! In her free time, she enjoys visiting coffee shops with her friends, going on bike rides, going to the park and making homemade cards! Elissa Feist is part of the synchronized swimming team. She has been on synchronized swimming teams since she was 8 years old! She is also a stylist for Off the Cuff Magazine. In her free time, she enjoys watching movies that makes you think, baking cakes, sitting in the library with a stack of photography books, wandering around the city, watching anime and meditating. 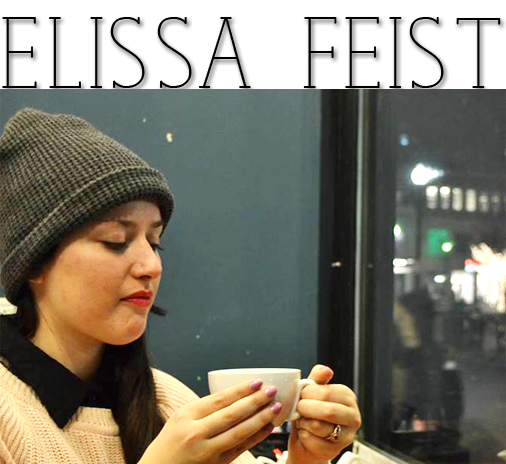 She is a huge foodie and one of her favorite things about Boston is being able to go to many different and cool restaurants and cafes!In the future, she wants to learn French sign language and go to graduate school for linguistics and live in Montreal. February MVBs (Most Valuable Brothers)! 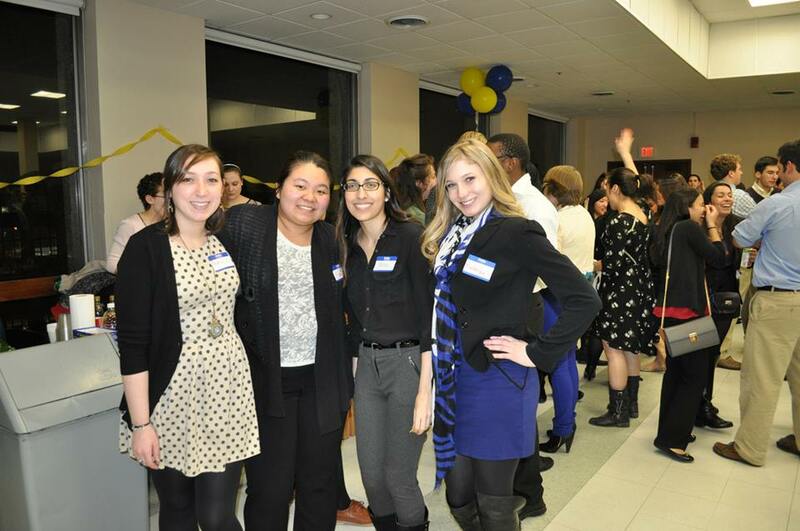 Thuy attended 18 events which includes 9 fellowships, 3 meetings and 6 service events! Esther attended 23 events which includes 13 fellowships, 6 service events, and 4 meetings! 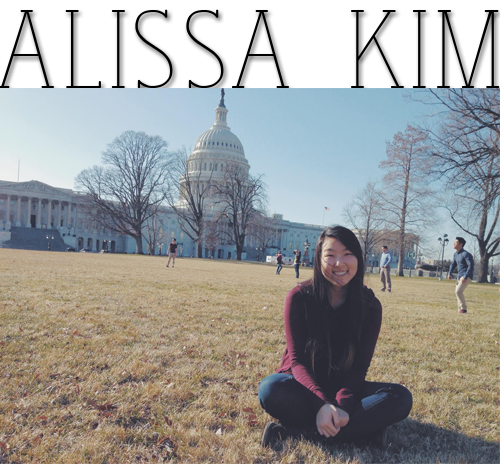 Nicole attended 18 events which includes 9 fellowships, 5 service events, and 4 meetings! 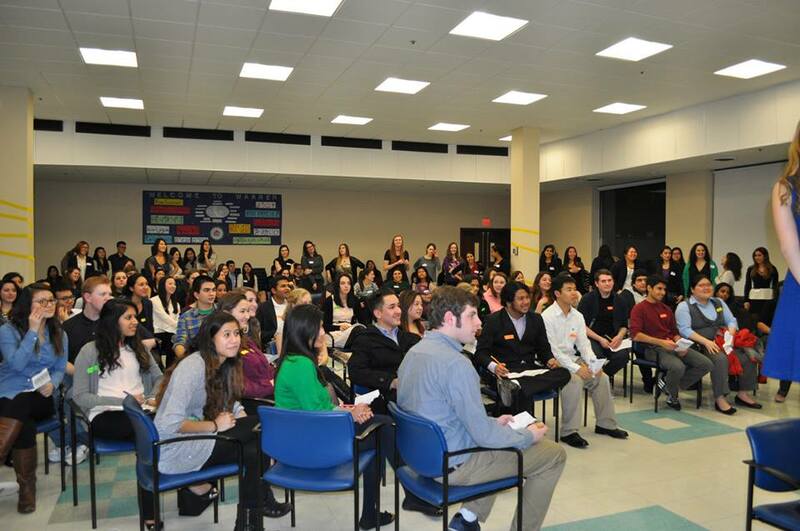 Tyler attended 21 events which includes 13 fellowships, 4 service events, and 4 meetings! Ryan attended 9 events which includes 4 fellowships, 1 service events, and 4 meetings! Paul is a very important member of PR committee while also contributing his time to Apparel Committee! Thank you for all the things you guys do! Stay wonderful! 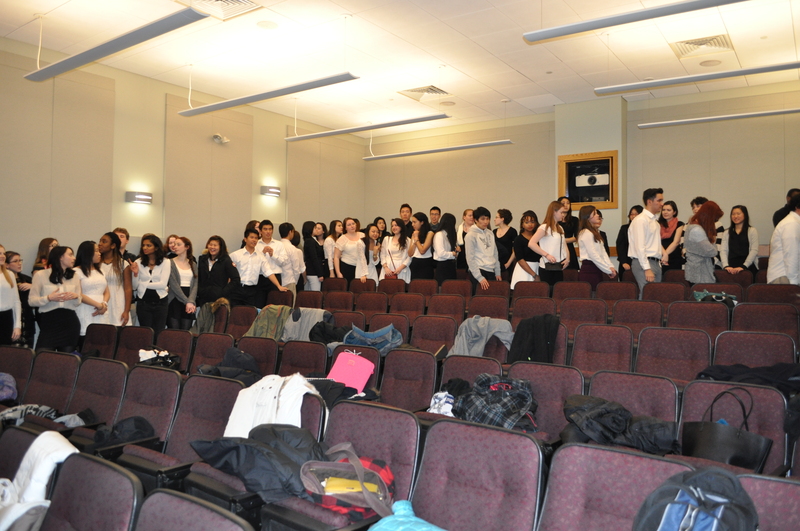 We’re so lucky to have 70+ wonderful new pledges join us for Pledge Ceremony this past Monday! The ceremony went swimmingly and now we have an amazing pledge class! We wish the best for you guys, and remember, the Bros are here to help you out and we can’t wait to meet all of you and have you join us! Pledges and Bros at Pledge Ceremony! 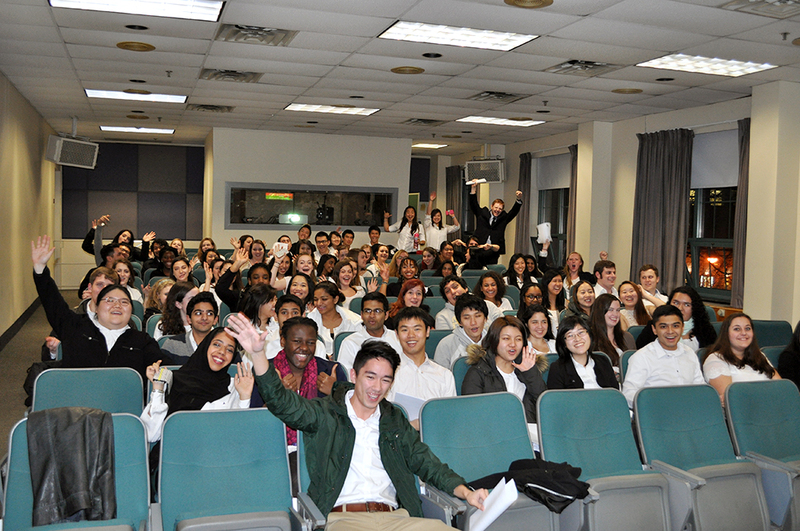 Last night ZU hosted Mocktails and we had an great turn out with 78 beautiful smiling prospective pledges! Brothers and pledges were split up into various groups a variety of ice breaker games one including the very competitive game of “Heads Up”. One of the other great activities was “Big at First Sight”, which was basically our way of having pledges meet brothers one on one and have a chance to chat and see if there’s a big-little connection! DID WE MENTION THERE WAS FOOD? Oh yes, so much food. Cheese and crackers (of course), cupcakes, brownies and the list goes on. 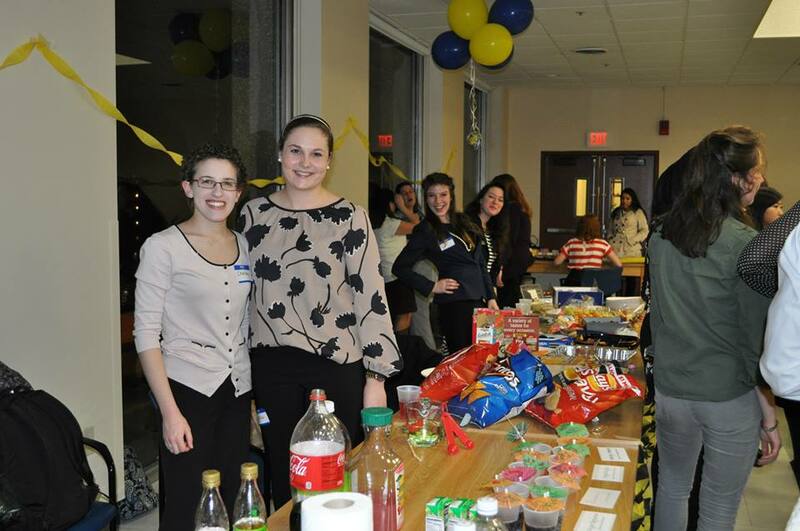 But wait, it was our favorite bartender’s last semester as an undergrad and her Mocktails were a hit (as always). A huge shout to the Pledgemasters Brian Boman and Stephanie Pennetti for organizing this huge event and to all of the brothers for helping set everything up and for being friendly and inviting! It’s been a weekend full of amazing news from Regionals to our chapter! We hope you’re ready because Fall 2014 Conclave is going to be held right here at BU by Zeta Upsilon!!! So put your thinking caps on and join the Conclave committees to help make this a Conclave they won’t forget. Check out the amazing bid video made by our MVP, Lauren Johnson here! (It’s amazing). We want to say thanks to all the brothers that made this possible, especially to Stefan Toussaint (Secretary) and Lauren Johnson! We were presented with the “Joe Scanlon Award Membership Award” for membership growth for the 2012-2013 year! We were also presented with the “Region 1 Fellowship Award” for an excellent fellowship program. Big thanks to our FVP, Jessi Cheung! 2012-2013 year! 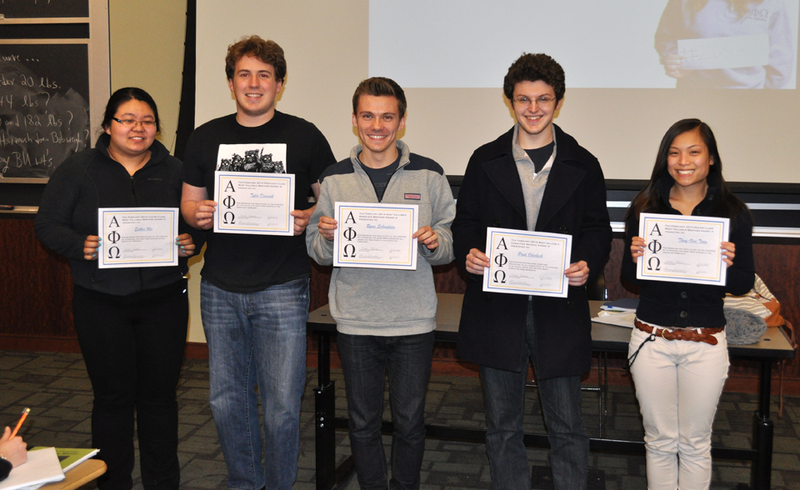 We want to thank Cara Mayberry and Dory Leviashvili (Fall 2012 Pledgemasters) and Brooke Kwasny and Morgan Fleming (Spring 2013 Pledgemasters). Thank you again for all the hard work each and every brother contributes to this chapter to make it better everyday. Who knows what this New Year will hold for us? Are you ready for an amazing Spring 2014 Semester? The Zeta Upsilon chapter hopes you had a magnificent winter vacation, holiday, and New Years! We can’t wait for you to kick your “Do more community service” resolution (which we all know you have) into full gear this semester! I wanted to take this moment before we start talking about the new semester to reflect on some of our Fall 2013 accomplishments! We crossed an astounding number of 73 pledges, with the wonderful guidance from pledgemaster Kyli! Welcome our new brothers, we know you are going to do amazing things for this chapter and community! 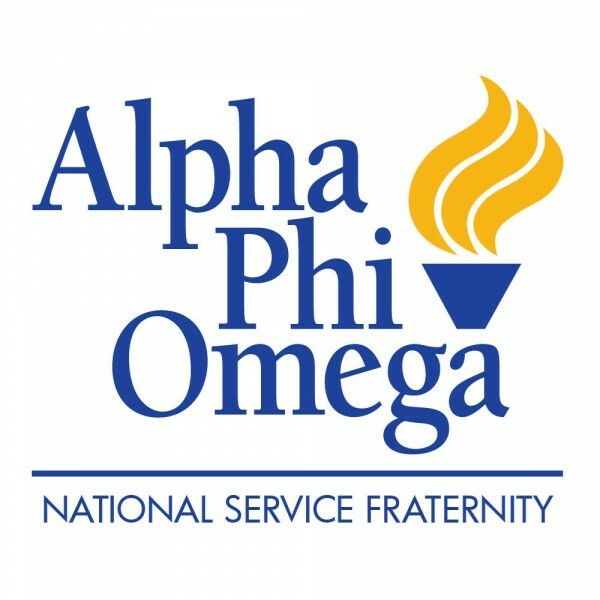 Our chapter completed over 4,409 hours of community service! Let me repeat, that is four thousand, four hundred and nine hours plus hours… that is incredible. We’re going to be holding some recruitment events right when we return from the holidays, more on that will be updated! For now, spread the word about info sessions and expanding our chapter! Details can be found here. This is going to be an amazing semester, I can already feel it.